By the 1780s Tunbridge Wells’ heyday as a popular spa is over and it seems that the town is in decline. Master of Ceremonies Beau Nash is long gone (his last visit was in the mid-1750s) and seaside resorts such as Brighton are proving more attractive to summer visitors. However, in 1785 a new resident arrives – a short, stout, red-faced and neatly dressed gentleman. 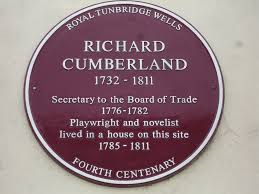 Dramatist Richard Cumberland is a well-known public figure, and his presence will help attract visitors back to the town. Richard, the son of a clergyman, was born in Cambridge in 1732 and educated at Westminster School and Trinity College Cambridge. A career as a government official took him to Nova Scotia, Ireland and Spain. However, when the Board of Trade and Plantations was abolished in 1782, Richard lost his job as its Secretary and he was unable to find an alternative. 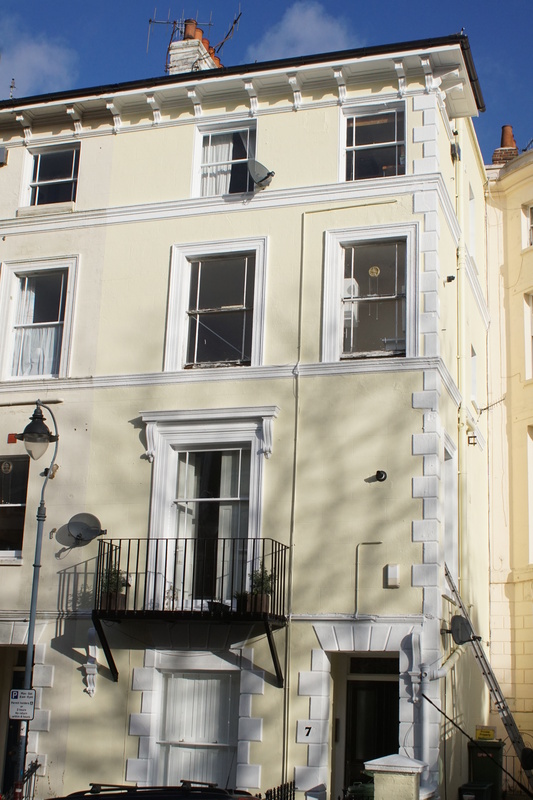 In 1785, 53 years old, on half pay and with a family to support (he had six children and numerous grandchildren), he decided to move to Tunbridge Wells as a way of retrenching. He rented a spacious house at the top of Mount Sion from the landlord of the Sussex Tavern. To the front of it was a fenced area which he cultivated as a flower garden, with a sand walk around it. 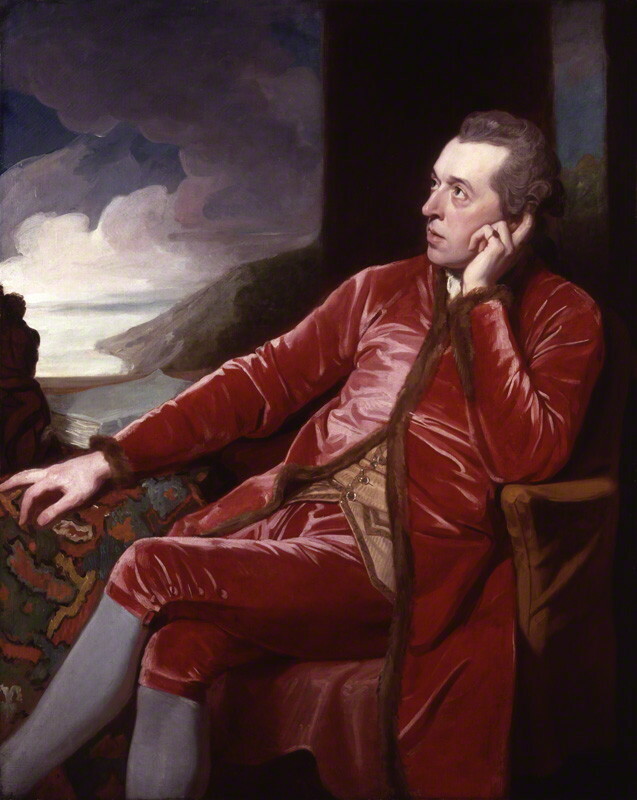 Richard had another career in addition to politics; by the time he came to Tunbridge Wells he was a well-known dramatist, whose plays had been performed at Covent Garden and Drury Lane. His plays were sentimental, moral and sometimes gave unusually positive portrayals of people on the margins of society. An example of this was his play ‘The Jew,’ with its sympathetic lead character, which was performed for the first time at Sarah Baker’s theatre ‘The Temple of the Muses’ also on Mount Sion. Now he had the opportunity to do more writing. Richard was generally considered to be kind and good natured. However he was acutely sensitive to any criticism of his plays – actor David Garrick described him as ‘a man without skin’ – and most people thought him a colossal bore. Friends’ hearts would sink as he embarked on yet another account of one of his titled acquaintances, or produced a manuscript and prepared to read aloud a play. On one occasion he promised two visitors a treat on the final evening of their stay. His servant brought in a large dish and they anticipated a delicious meal. But under its cover was the manuscript of Richard’s five act tragedy Tiberius. ‘I am not vain’ he said ‘but I do think it by far the best play I ever wrote.’ He began reading and continued for three acts, until he became aware that his visitors had fallen asleep, upon which he finally allowed them to have their supper. In 1792, while Richard was living in Tunbridge Wells, England went to war with France. A few years later Richard recruited and trained local volunteer troops, to provide a defence against potential invading forces. He would drill his men, who were ‘artisans, mechanics or manufacturers of Tunbridge Ware,’ by moonlight or torchlight each evening after they had finished work. An overweight playwright made an unexpected commander, but Richard took on the role with great enthusiasm and it was observed that he ‘gave the word of command with all the ardour of an experienced veteran’. His men loved marching through the town in their smart uniforms and most of them refused to disband when they were told their services were no longer required. Towards the end of his life. Richard lived mainly in London, which was where he died in 1811 at the age of 79. He was buried in Westminster Abbey’s Poet’s Corner. 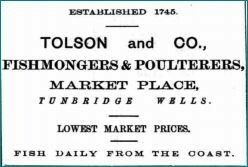 In the late 18th century, Tunbridge Wells began to attract visitors once again (partly at least due to the presence of well known residents such as Richard Cumberland), although they tended to be rather less aristocratic than in the past. Many were military and naval men, who began settling permanently in the town. They needed homes, and as a results there was a building boom in the early nineteenth century. A new phase in the town’s history had begun. Sarah Baker and her theatre were the subject of an earlier blog post. The house Richard lived in was named Cumberland House in his honour, by a subsequent owner, but has since been knocked down. Although Richard was a well-known dramatist in his life-time, his reputation has not survived and his plays are not performed today, unlike those of his contemporary Sheridan. ‘Price of the Big Push. Casualties of the Great Advance.’ This was a headline in the Courier newspaper on 11th August 1916, above a gallery of photographs of soldiers killed, injured or missing in action in the Great War. Their subjects are representative of the ordinary men who were caught up in the conflict, and of the gaps they would have left in the town’s life, as well as that of their families. They include gardeners, shop assistants, domestic servants, a book dealer, a print worker, a blacksmith and milkman George Quinnell. George was born in Tunbridge Wells in 1885, the son of a grocer’s warehouseman. In 1901, aged sixteen, he was working as a grocer’s porter (possibly in the same business as his father). Ten years later (at the next census) he was a milkman, working in Tom Carter’s dairy at the foot of St James’ Road. George was an active member of the local branch of The Ancient Order of Forresters, a Friendly Society. When war broke out in August 1914, large numbers of men enlisted (including 1,300 from the Tunbridge Wells area in the first six months). However, as time went on, voluntary enlistment was not happening on the scale required. Under the Derby Scheme, which was in operation from October to December 1915, all men between 18 and 40 were given the opportunity to volunteer immediately, or to ‘attest’ their willingness to serve when called on. In Tunbridge Wells the scheme was operated by the Council. Canvassers went from door to door with registration forms and around 1,600 local men attended the Drill Hall (in the Corn Exchange on the Pantiles) and signed up. George was one of them. Having attested, he probably went straight back to his work as a milkman, wearing a grey armband with a red crown, to signify that he had volunteered. The conditions George experienced – cramped trenches, acres of mud, barbed wire, machine gun fire, constant shelling and injured, dying and dead men all around him – were very different from the life he had left behind in Tunbridge Wells. They are inconceivable to us today. Meanwhile at home, George’s father and sisters Ellen and Edith waited for news. As reported in the Courier, they were informed in August 1916 that he was missing in action. One of his sisters appealed for information in the columns of the Kent Messenger around that time. But it was not until March 1917 that they learnt George had died on 13th July 1916, the final day of the Battle of Albert. George was an ordinary man, whose life left little trace. But it seems that he was a good man – the Courier’s report of this death said that he was respected and loved by all who knew him. In a Friendly Society, such as the Ancient Order of Forresters, members contribute to a fund to be used for the welfare of the members or for their assistance when in need or distress. George is buried in Serre cemetery, which was created in Spring 1917 when the Somme battlefield was cleared. The names of more than two thirds of the soldiers buried there are unknown. On Saturday 9th July 2016, the Friends of Tunbridge Wells Cemetery, http://foftwc.wix.com/foftwc held a moving ceremony to commemorate the Tunbridge Wells men who gave their lives at the Somme. 1753. Late one Friday night, after a ball in the Public Rooms, a coach and horses turn at high speed into a narrow, poorly lit lane behind the Walks. The footmen are thrown to the ground and the coach topples to one side, close to falling right over. Fortunately there are several people standing nearby who run forward and hold it up while the occupant extricates herself. She is unhurt, but agitated and distinctly unamused. Elizabeth was not a great beauty (she had a sharp face and a long nose), did not dress in the latest fashion and was not especially intellectual. But she was vivacious, witty and could speak entertainingly and at length on subjects about which she knew very little. She enjoyed flirting and had many admirers. 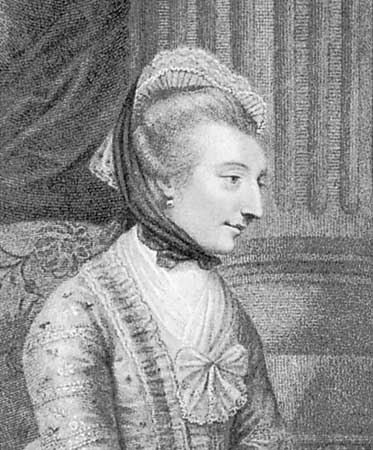 After she married Edward Montagu, grandson of the second Earl of Sandwich, when she was 24, she had wealth to add to her attractions. In London Elizabeth became a leading hostess; her friends included writer Samuel Johnson, actor David Garrick and painter Joshua Reynolds. She was also a founder-member of a group of women and men who became known as the ‘blue stocking philosophers’. Elizabeth was an active letter-writer and often wrote about Tunbridge Wells. She was dismissive of many of the people she met there, who talked ‘of little but water, bread, butter and scandal’. She said that one particular lady ‘looked like a state bed running upon castors; she has robbed the valance and tester of a bed for a trimming’. Most of Elizabeth’s visits were in the era of Beau Nash. Throughout the summer months Tunbridge Wells was filled with visitors who danced, gambled, gossiped and took the waters. They were a cosmopolitan crowd. French, Germans, Hungarians and Italians mingled with Londoners. Physicians, clergymen, musicians and tradesmen rubbed shoulders with nobility. Elizabeth described the town as the parliament of the world and observed: “Next to some German, whose noble blood might entitle him to be a Grand Master of Malta, sits a pin-makers’ wife from Smock-alley; pickpockets, who are come to the top of their profession, play with noble dukes at brag’. This mixture amused her. ‘I am diverted by the medley;’ she wrote ‘the different characters and figures are amusing, especially at the balls, where persons of every age, size and shape step forth to dance’. The entertainment on offer was generally not very refined. In one of her letters Elizabeth recalled a concert ‘where the fiddles squeaked, the bass viol grumbled, the trumpets roared, and the bassoon did what is not fit to be mentioned and the musicians, after having stunned us in this manner for two hours, took it ill we desired to be entertained with some country dances’. On the whole Elizabeth lived a simpler and quieter life than most visitors, avoiding the ‘busy haunts’ as much as possible and locating herself on Mount Ephraim, well removed from the bustle of the Walks. Her main activity, apart from taking the waters, was making excursions on horseback to places such as Penshurst, Tonbridge and High Rocks. 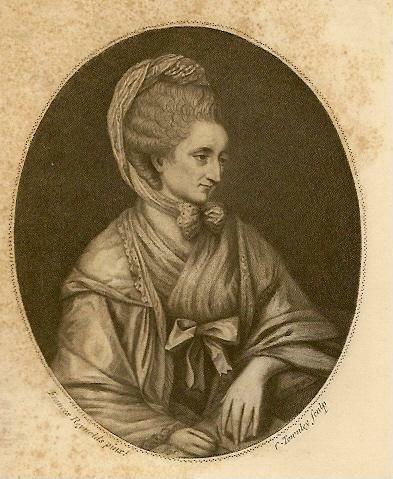 Following her coach accident Elizabeth Montagu was shaken and angry. She was in no doubt as to who was responsible and sacked her coachman, who had certainly been drinking and may have been drunk. Elizabeth became the centre of attention for a while and had many enquiries about her wellbeing. The proprietor of the Public Rooms, who was anxious not to lose such a high profile visitor, promised to have the road levelled immediately. 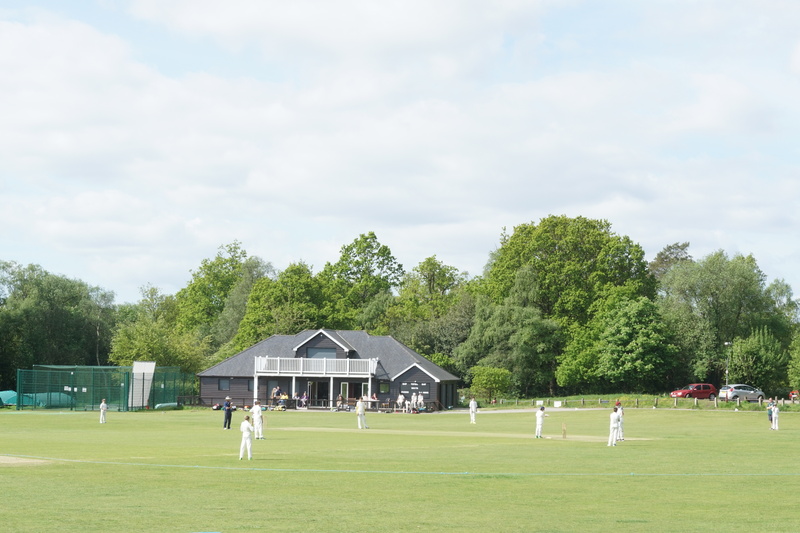 However, her experience did not put Elizabeth off Tunbridge Wells and she continued to visit until at least 1879, over 40 years after her first visit. On most of her visits, Elizabeth stayed at Stone House on Mount Ephraim. Montague Terrace is now on this site. Beau Nash, Master of Ceremonies from 1835 onwards, was the subject of an earlier post in Tunbridge Tales. A donkey carrying a young girl hurtles across the Common, with several smartly dressed servants in pursuit. As it reaches the Mount Edgcumbe rocks a boy comes to the rescue, grabs the reins and brings the donkey to a standstill. The girl, who is laughing despite her adventure, is Princess Victoria. The boy, who is rewarded by one of her equerries with a shilling and a thank you letter, is apprentice butcher Thomas Tolson. He will continue telling people the story of how he rescued a princess for the rest of his life. The roof of the Fish Market building. Thomas’s shop was just behind. Thomas was born near the Frant Road in around 1812. He soon switched from butchery to working in the fishmongers run by Henry Hook at 25 The Parade, an old wooden building on the south side of Market Square, behind the Fish Market. In 1837 Thomas married his employer’s daughter, Harriet, and at some point after this he took over the business. By 1861 he was employing four men and two boys. In the early days fish were transported in small carts drawn by dogs from Hastings to Pembury, where Thomas would meet them and collect his stock. Presumably after the train line opened between Tunbridge Wells and Hastings in 1852 this was no longer necessary. ‘Messrs Tolson and Co…….had one of the finest shows of fish we have ever seen in the provinces and it commanded much attention. In addition to cod, turbot, oysters, and soles, there were grand salmon…..which weighed between twenty and thirty pounds each. So great was the stock, that on Wednesday evening, when closing time arrived, it was found to be impossible for the premises to contain it, and consequently closing was dispensed with, and a watch kept all night’. 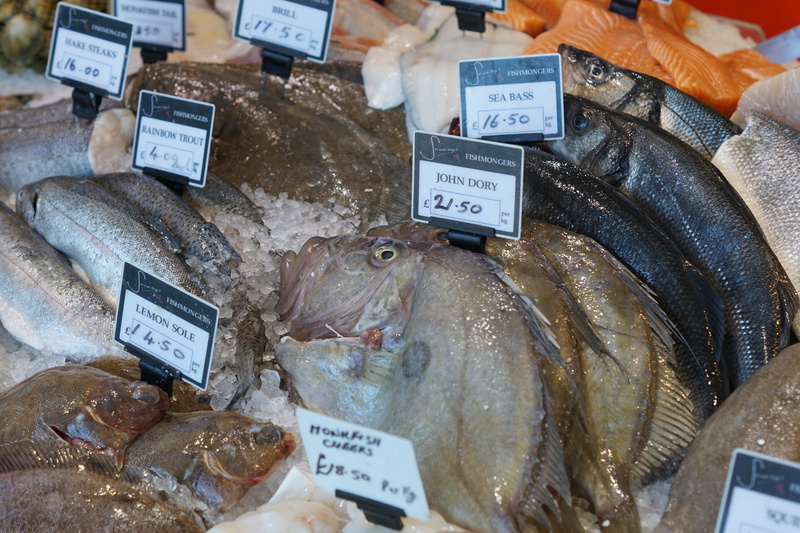 In their 1884 report the Courier noted that the Tolson’s display included cod caught in the Dogger Bank fisheries, transported by fast ocean-going steamships to Grimsby and dispatched from there to the South of England, where it was still as fresh as any fish caught off the south coast. In 1886 they noted that Thomas seemed to be getting younger and jollier as each Christmas came round. Thomas’s wife Harriet had died back in 1851, leaving him to bring up their four children (aged between 13 and 6) on his own. He remained single until 1880 when, aged 67, he married 52-year-old shop assistant Charlotte Field. Both Thomas and Charlotte were active members of St Charles the Martyr and were kind and generous in helping those in need. In 1888 Thomas finally retired from the shop and moved to a house on the opposite side of Market Square. He continued to be a familiar figure on the Pantiles, taking his daily constitutional – smartly dressed, with a tall hat and a ready smile – and sprinkling crumbs on the pavement for sparrows who flew down from the Common when he whistled. Thomas seems to have been universally popular. When the weather was cold enough he would allow young people to skate on a pond he owned on Patty Moon’s Walk, not far from the Pantiles, and each year he would entertain his friends, mainly fellow tradesmen, to an ‘oyster feast’. In 1888, the year of his retirement, they returned the favour by organising a complimentary dinner in his honour at the Mount Ephraim Hotel. Over a long life. 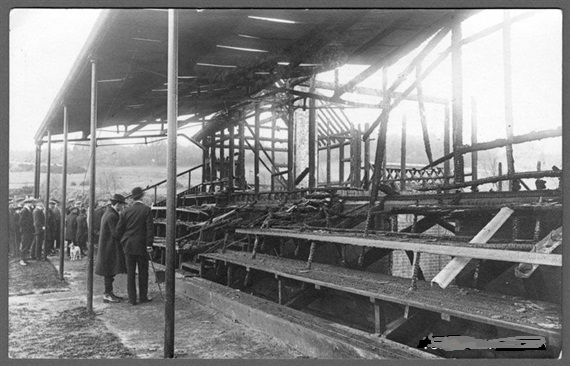 which included fifty years in trade, Thomas witnessed many major events in Tunbridge Wells. As a young boy in 1820 he enjoyed the celebrations for the coronation of King George IV. In 1879 he attended a dinner to mark the opening of the new Pump Room and in 1889 he walked in the long procession which marked the town being given municipal status. Thomas died in 1900, at the age of 88, missing by one year the events held to commemorate the long reign of the princess he had rescued all those years earlier. 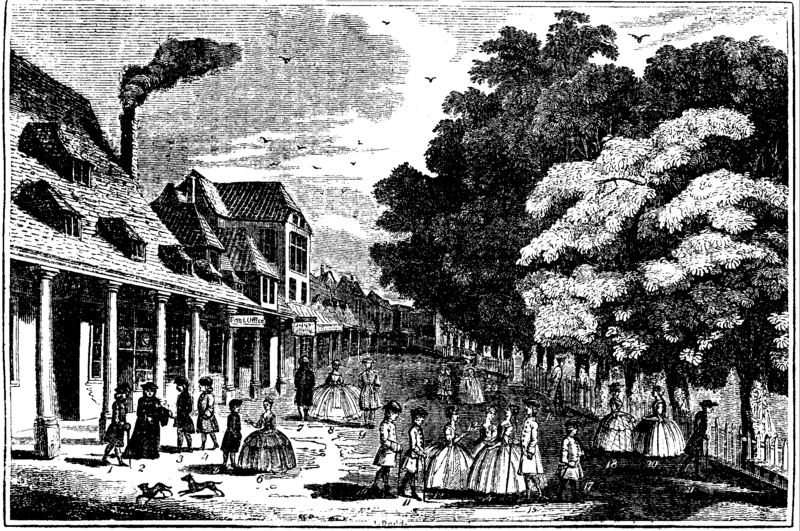 Fish were sold on Market Square from 1745 onwards, although the present building dates back to 1895. In recent years it was home to the town’s Tourist Information Bureau and it is currently occupied by Sankeys Champagne and Seafood Bar. Originally there were the Walks (Upper and Lower). After they were repaved in 1700 the area became known as the Pantiles. In 1793 the paving stones were replaced and for most of the nineteenth century it was called the Parade. 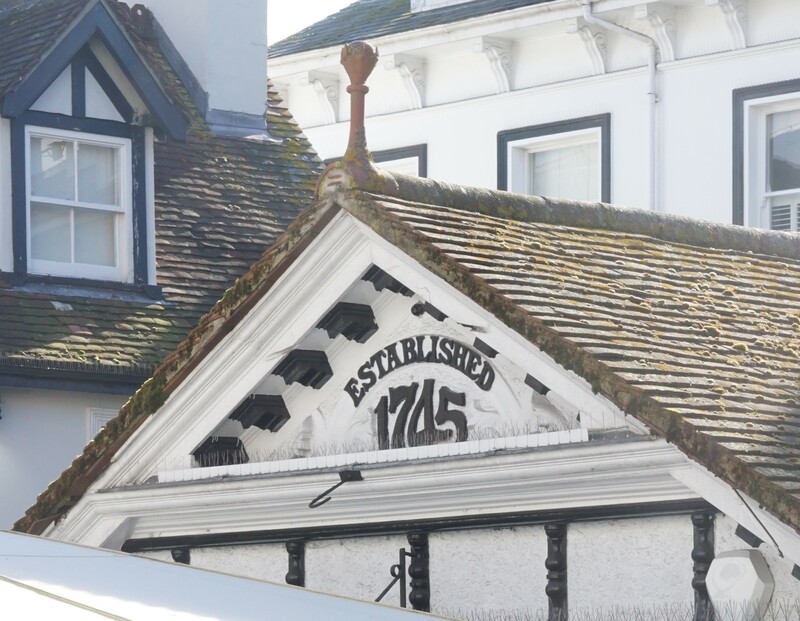 In 1887 the Pantiles name was revived and continues to be used today. Patty Moon’s Walk is now Cumberland Walk. Riots have not exactly been a common occurrence in the history of Tunbridge Wells, but in 1864 surgeon William Webber provoked a storm amongst local residents. In the summer of 1864 William wrote to the Home Office accusing the Town Commissioners of neglecting their duty – they had allowed an old drain near his home to be opened up and left exposed. As a result, he claimed, he and some of his patients had contracted fevers. The Board of Health promptly dispatched an inspector to check out William’s allegations, who reported that there was no cause for concern. However in the mean-time rumours had spread, including the alarming suggestion that the town’s poor drainage was causing typhus and scarlet fever. Many visitors upped and left. William’s home. In 1864 it was 1 Sion Terrace, today it is 7 Mount Sion. Local traders and lodging-house keepers, dependant on summer visitors for business, were furious with William for meddling. At around 9 o’clock on the evening of Saturday July 2nd a crowd of a thousand or more people gathered outside his home at the foot of Mount Sion and in the surrounding streets. There were catcalls, insults were yelled and fireworks were let off. A straw effigy of William, in the form of a pig, was burnt and stones, potatoes and other missiles thrown at his house, breaking many of the windows. The police could do little to halt the rioting, although they did make four arrests. It was only when heavy rain came on that the crowd dispersed. The rioters who had been arrested – a fly-proprietor, a billiard marker, a labourer and a butcher’s son – came up before the Tunbridge Wells magistrates a few days later, in a packed court. After the police had given evidence, solicitor Mr Cripps appeared on their behalf. His clients just happened to be on the spot, he claimed, along with many other persons holding a high position in the town. (It is quite possible that one or more of the magistrates had also been present). William did not appear in court and no evidence was presented. Nevertheless the men were committed for trial by a jury at the Maidstone Assize. When they were tried at the end of July, the judge described the disturbance as a scandalous affair, but released all four, requiring only that they pay £5 each towards the cost of the broken windows. (This added up to less than half the £45 William claimed repairs would cost). Meanwhile William had brought a private prosecution against a number of others who had been present at the riot. including two butchers, a watchmaker, a chemist and a grocer. In a volley of words he accused them of ‘unlawfully, riotously, wantonly and tumultuously’ making a ‘great noise, riot, tumult and disturbance’. However, once again he did not appear in court to give evidence, claiming in a letter that he felt intimidated. The Chairman of the Tunbridge Wells magistrates dismissed the case, to thunderous applause from those in the packed courtroom and hundreds more waiting outside. After enjoying a celebratory dinner at the Camden Hotel (whose landlord had been one of the accused) the defendants drove through the town, waving their court summonses in the air like flags. The Town Band lead the way and, as the procession reached Mount Sion, they struck up an Irish jig called ‘The Rogue’s March’. In this instance the jury decided in William’s favour, awarding him £50 in damages. 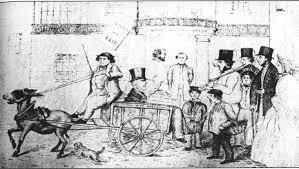 Then in March 1866 William launched a civil prosecution for trespass and damage during the 1864 riot against a further 8 defendants. This time the case was tried in Maidstone. William subpoenaed 50 witnesses but, before their evidence could be heard, the case was decided, with two of the defendants ordered to pay him damages of £25. He was less successful in his dispute with Charles Trustram, another surgeon living in Tunbridge Wells, whom he accused of making improper use of his position on the Town Board. Trustram responded by suing William for libel. This case was decided in Trustram’s favour and William was ordered to pay damages of £25, plus £168 in costs. Unable, or unwilling, to pay Trustram the money he owed him William spent five months in a debtors’ prison in the second half of 1866. He applied repeatedly to the court to be released, complaining of unfair treatment and claiming that imprisonment was endangering his health and might end his life. He was finally released in December 1866. ‘My parting words to the town – which I shall leave with one regret, namely that I ever entered it – will be Peace to it and may it cease to look for a crop of prosperity from seeds sown in the hotbed, tyranny and wrong’. It is not clear exactly when William left Tunbridge Wells, but when he did, it does not seem that there many in the town who regretted it. William Webber’s home is now 7 Mount Sion. In the summer of 1864 a new figure appears on the Tunbridge Wells scene and attracts a great deal of attention. He is around 30 years old, tall, slim and well dressed, with a dark complexion, dark hair and grey eyes. The exotic newcomer would walk along the Parade (Pantiles), absorbed by melancholy thoughts. Frequently he would pay the band to play the Polish national anthem. When approached he introduced himself as Count Sobieski, son of the King of Poland. He claimed to have been exiled on account of his criticisms of the Russian government. He also said that he had fought a duel at Heidelberg, escaped to Paris and then travelled by ship to Bristol. His agent was sending him regular sums from his estates in Poland, but he could not return home. Many felt pity for him in such a sad situation, which obviously weighed on him heavily. The count was very engaging and was quickly welcomed into fashionable society. It was rumoured he ‘enchanted more than one young lady’s heart’. The ladies showered him with presents and local tradesmen and hotel keepers were happy to extend him credit. However, after a few months the count suddenly disappeared from town. Soon news reached Tunbridge Wells that he was not what he had seemed. He was Russian not Polish, his real name was Michael Ostreg and he was certainly not a count. In December 1864 he appeared in court in Exeter accused of larceny and was sentenced to eight months hard labour. Ostreg seems to have been a habitual, but very inept criminal. Over the following years the newspapers reported that he was arrested and charged with theft or fraud in various places across the country, including Maidstone, Chatham, Woolwich, Burton-on-Trent and Eton. He served several prison sentences and was committed to a lunatic asylum on two occasions. Perhaps the counterfeit count did not stay in Tunbridge Wells long enough for his crimes here to be uncovered. However, his deceptions may have been a warning to some residents about the danger of judging people on the basis of appearances alone. Ostreg used a range of other aliases, as well as Sobieski, including Max Gosslar, Monsieur Orlof, Bertrand Ashley and Ashley Nabokov. In 1894 Ostreg was listed as a suspect in the Jack the Ripper case. Recent research has shown that it is highly unlikely he was the Ripper; there is no evidence that he committed any crime other than fraud or theft, he did not match the physical descriptions given of the Ripper and there is evidence that he was in prison in France when the murders were committed.